Our guest blogger is Michelle Avis, currently an M.S. candidate at the State University of New York – College of Environmental Sciences and Forestry (SUNY-ESF) with a focus in Fish & Wildlife Biology and Management. She is our next speaker in the series: Making Waves in Coastal Conservation. Join us on Wednesday, June 25 at 7:30 p.m. at 204 Long Pond Road in Plymouth for her talk. 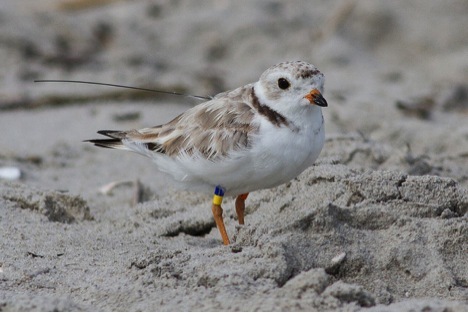 Michelle’s graduate research project examines piping plover flight behavior during the breeding season. 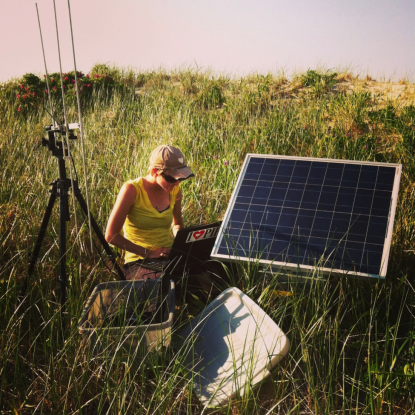 She has been working with nesting piping plovers since 2008 with several organizations including the U.S. 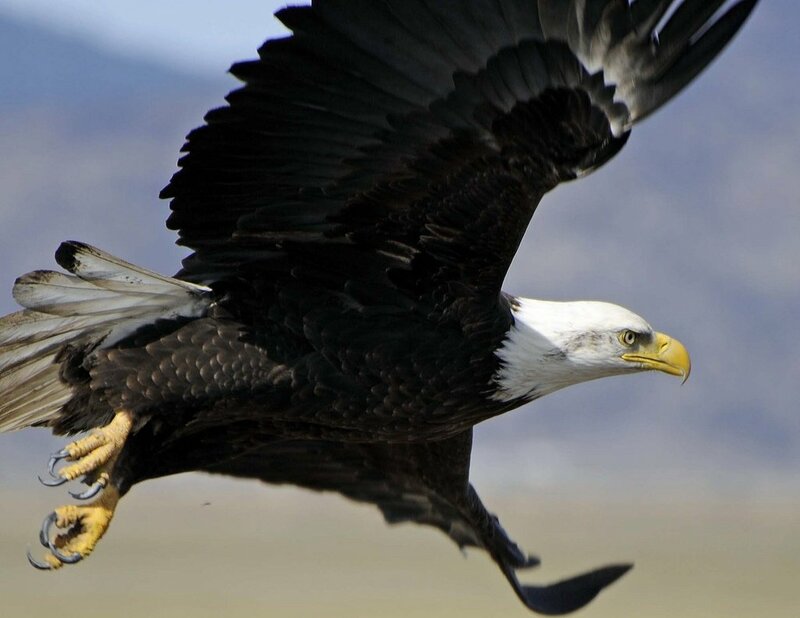 Fish and Wildlife Service, the Massachusetts Audubon Society, and the Tuckernuck Land Trust. During the winter of 2010-2011, Michelle was crew leader for Virginia Tech on a project assessing the impacts of the Gulf oil spill on wintering piping plovers. She also has experience working with a variety of other birds including osprey; American oystercatchers; black skimmers; red knots; common, roseate, and least terns and passerines. When not spending time looking at birds, some of her favorite things are going to the farmer’s market, listening to NPR, knitting up a storm, and playing her harmonica exceptionally loud! Radio-tagged female piping plover from Avalon, New Jersey. Photo credit: Tom Reed. Wildlife managers and wildlife biologists have been using radio-telemetry to track the movements and locations of animals for decades. In recent years, technology has advanced to such a degree that radio-transmitters are small enough to be placed on animals as tiny as mice, songbirds, and even butterflies. Radio-telemetry works like your car radio – one antenna transmits a pulse and another receives it. In radio-tracking animals a portable antenna is placed on an individual to transmit a small signal, or pulse, and a second antenna, used by the biologist, receives the signal. In a simple example, a nearby animal with a radio-transmitter will be detected with a stronger signal (louder) at the receiving antenna. If the animal is located farther away, a weaker signal will be received. Therefore, it is possible to pinpoint the location of an animal using this technology. 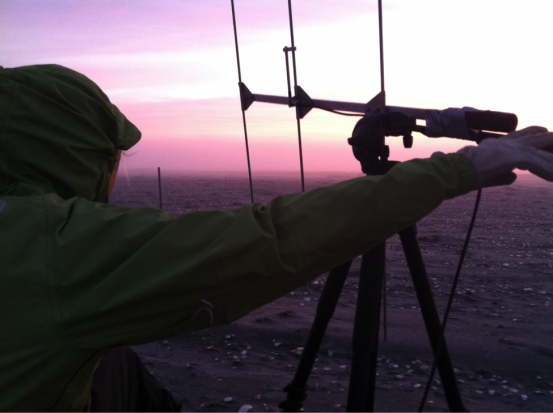 Field technician, Christy Weaver, conducting nighttime telemetry on a radio-tagged female piping plover at Stone Harbor Point, New Jersey. Photo credit: Emily Heiser. Radio-telemetry can be useful for tracking local movements of resident animals, such as rabbits or foxes, and it can also be used on a broader scale to examine the migratory routes of birds. Something to Crow About: How Researchers are Tracking Bird Movements on Cape Cod and Beyond will be a discussion about the usefulness of radio-telemetry in tracking local movements of piping plovers on Cape Cod to a broader use of radio-telemetry tracking many different species of birds along the Atlantic Flyway. We will discuss the methods being used in different studies and what types of information researchers hope to gain from using radio-telemetry. Michelle Avis checking automated telemetry equipment at Chapin Beach, Dennis, MA. Photo credit: Laura Jenkins. To pre-register for Michelle’s talk email: dss@goldenrod.org. Space is limited, so sign up soon! Detailed directions will be send upon registration.